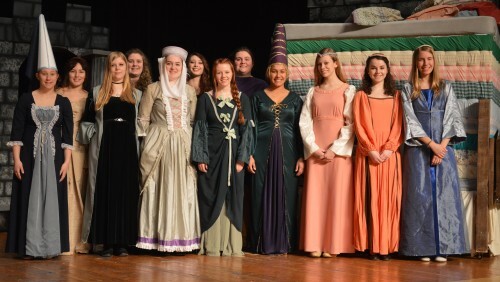 Some of the cast members for the spring theater production at Wawasee High School include, in front from left, Kara Schrock and Mercedes Winkleman. In the back row are Laura Stump, Justin Winkleman, Allyson Weaver and Rhett Coblentz. SYRACUSE — Singing, dancing, joking and music will mark the spring theater production at Wawasee High School. 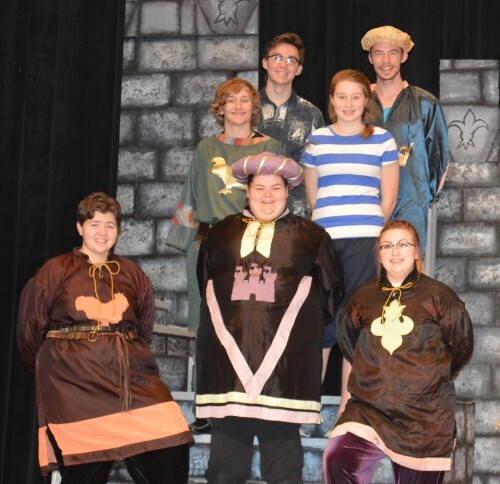 “Once Upon a Mattress” will be presented at 7 p.m. Friday, March 18, and Saturday, March 19, in the high school auditorium in Syracuse. It originally opened off Broadway in 1959, but later moved to Broadway and became a famous show. Well known actress and TV personality Carol Burnett made her Broadway stage debut in “Once Upon a Mattress” and originated the role of Princess Winnifred, played by Laura Stump in the Wawasee production. The Wawasee show will include knights, ladies in waiting, a princess, prince, jester, queen, wizard and others. Auditions took place in January and the cast and crew have been hard at work since then learning blocking, dancing, singing, building a castle on stage (with a moat), in addition to memorizing lines. Finishing their thespian careers at Wawasee are seniors Ethan Zhou, Justin Winkleman, Charles Impey, Jailene Ortiz, Valerie Ortiz and Allyson Weaver. 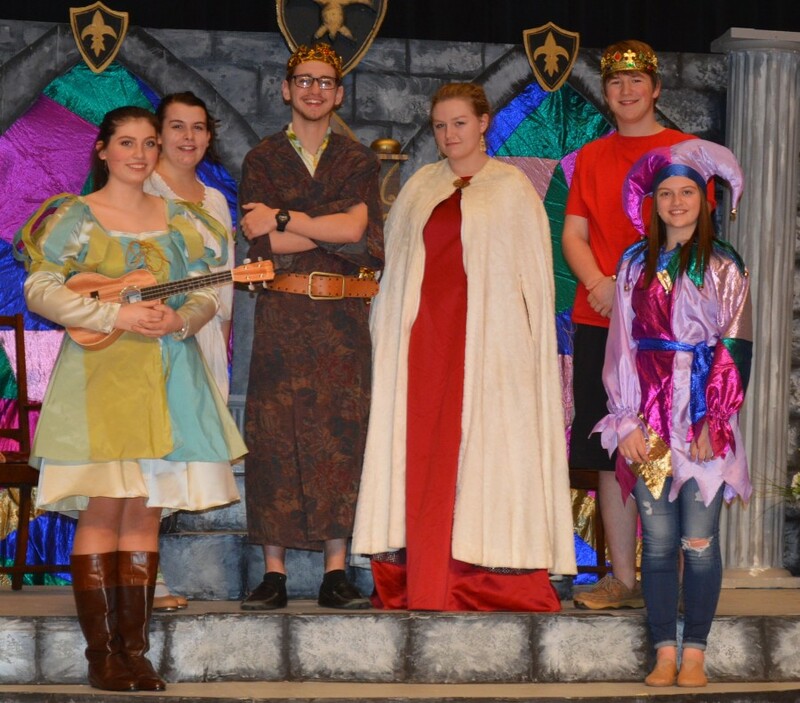 Lead characters include juniors Stump (as Princess Winnifred), Rhett Coblentz (Prince Dauntless), Ethan Wright (Sir Harry) and Alexandra Fiscus (Lady Larken). Other cast members include Kara Schrock, Jade Davidson (also a student director), Mercedes Winkleman, Jade Grady, Genevieve Cierpilowski, Lacey Helfers, Jessica O’Connell, Amanda Foy, Gabby Fiscus (also a student director), Jonas Clayton, Becca Bender, Maddy Bradley, Destiny Howard, Chris Flora, Alexandra DeLaughter, Gynnae Hochstetler, Katie Mallory, Laurana Perry and McKenzie Hershberger. 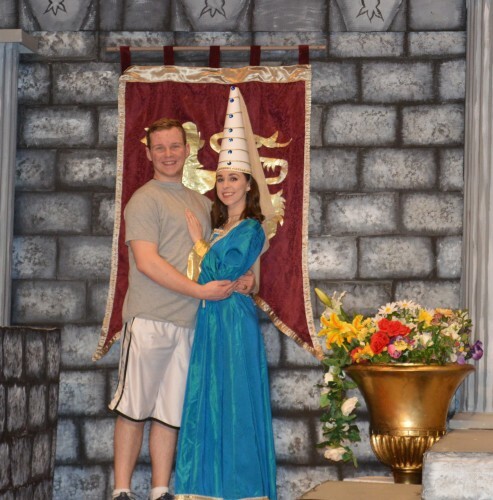 Ethan Wright, left, and Alexandra Fiscus are two of the cast members for the Wawasee spring play. Some cast members for the Wawasee spring play include, in front from left, Becca Bender, Maddy Bradley and Katie Mallory. In the middle row are Jonas Clayton and Gynnae Hochstetler. In the back row are Ethan Zhou and Charles Impey. Some cast members of the Wawasee spring play include, in front from left, Destiny Howard, Amanda Foy, Jessica O’Connell, McKenzie Hershberger, Jailene Ortiz, Lacey Helfers, Gabby Fiscus and Genevieve Cierpilowski. In the back row are Valerie Ortiz, Alexandra DeLaughter, Jade Davidson and Jade Grady.